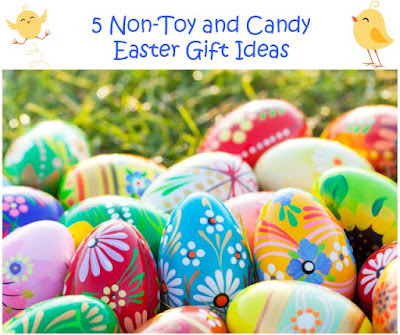 With Easter only 13 days away, I wanted to share my top 5 Easter gift ideas for kids that have too many toys. Yes, you know who I am talking about. :-) I, myself, am staring at two little girls who are running out of space to store their toys, many of which only get played with a handful of times. But, whenever the holidays and birthdays roll around, they are quick to ask for more toys...as if they don't have enough to play with. 1. Family Membership to Local Area Museums --- I don't know about you, but my girls love exploring and visiting local or surrounding area museums. 2. Movie Theater Passes -- Who doesn't love to take in a new movie with popcorn? Have you heard about all the great family friendly movies releasing soon. It is shaping up to be a fun spring/summer at the movies with movies like Toy Story 3, Finding Nemo 2, Angry Birds this May and Pets in a couple of weeks. My girls also ask to see a movie when they see a preview on television, and what better way to spend a rainy day or weekend than by watching a great movie and snacking on popcorn with the family. 3. Ice Cream certificates -- I know, I said non-candy gifts, but ice cream isn't candy. What kid doesn't like ice cream? If you are fortunate to live near an ice cream stand or restaurant that serves up ice cream, why not consider picking up a gift card for your child so that they can treat themselves to an ice cream whenever they get a sweet tooth craving for something cold and refreshing. We recently had a Sonic Drive-in open in the area and the girls love stopping in for a vanilla cone during our weekend day trips. I know they would love to have a gift card to this or other local ice cream stands that will soon be opening for the season. 4. Tickets to a sporting event, ice show, or other family-friendly event coming to town -- My girls have been asking about going to Disney on Ice or a princess tea party thanks to commercials on television and talking with their friends. 5. A Pley.com membership -- I know this is supposed to be a non-toy list, but Pley.com is not your average toy shop. Instead, when you sign up for a Pley.com membership you are signing up for a toy rental membership. Yes, your kids will be sent toys to play with each month...but, when they grow tired of them, you send them back for another. So, you never have to worry about toys piling up once your child is done playing with them. And, your kids will love being able to create a wish list of toys they want to try out and play with, before sending it back for another new toy...time and again. Come on, what kid wouldn't want to take a hot new toy for a spin and then send it back when something even cooler comes out? 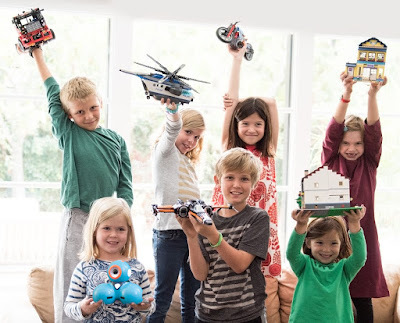 As a parent who uses Pley.com I love the whole toy rental concept, as it has helped to cut down on toys I have had to sadly give away as the girls didn't want them anymore, or find myself tripping over in the night when picking up the girls' messes. Pley offers access to a large selection of educative toys, including 400+ LEGO sets and popular robotics toys. To learn more about Pley.com or to sign up for a membership just in time for Easter for your child visit www.pley.com today. 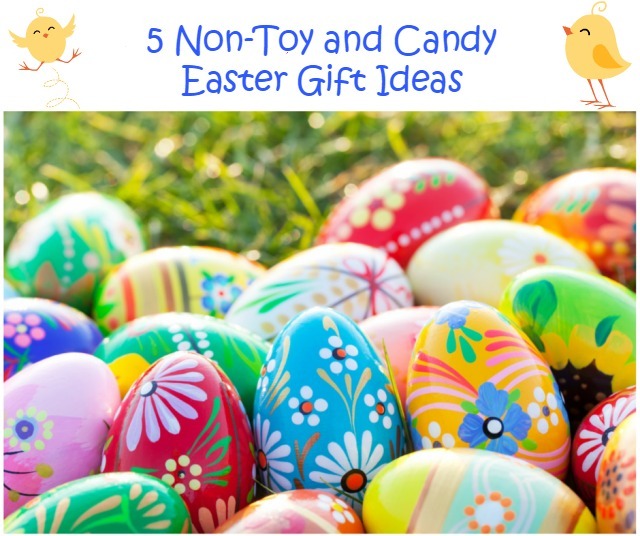 Do you have any other great non-toy or candy gift ideas you will be giving your child this Easter, or even upcoming birthday or holiday? I would love to hear about them. So, be sure to leave your gift ideas in the comments section below. Our favorite gift for Easter (any time, really) is a book, or gift certificates to book stores. There are so many fabulous books for all occasions, and a good book will be read over-and-over again. Great ideas, I think my son would especially love the idea of movie tickets. These are some super great idea that I will use this year thanks for sharing. I love the idea of movie passes and ice cream or other gift cards :) Thanks! These are great ideas! I like the gift card idea for ice cream! My grandsons love ice cream.